Suorin Edge Pod Mod DeviceT W O B A T T E R I E S I N C L U D E D &nbs..
Suorin VagonThe newest of the Suorin Vape family, featuring a slim, curved body and a revolutionary ..
Suorin Edge Battery - SingleReplaceable battery for the sleek Suorin Edge Pod Mod Device. 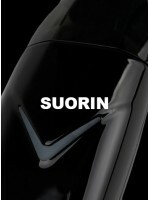 ..
Suorin Edge Cartridge - SingleReplacement Cartridges for the Edge Pod Device by Suorin. Sold in..
Suorin iShare Single KitMuch like the Suorin Air or the Suorin Drop Ultra Portable System, the iShar..
Suorin Vagon 2pk Cartidges Replacement 2mL refillable cartridges for the Suorin Vagon Kit. ..
Suorin iShare 3pk Cartridges The Suorin iShare Cartridge is designed for iShare and i..
Suorin iShare KitThe Suorin iShare Ultra Portable System Starter Kit is a robust and versa..
Suorin Drop Cartridge This Drop Cartridge is designed for Suorin Drop Starter Ki..
Suorin DropThe Suorin Drop Starter Kit is an ultra compact starter kit designed for vapers..
Suorin AirFrom the manufacturers of the iPhone, the Suorin Air is a compact all-in-one device with a..